Greetings! 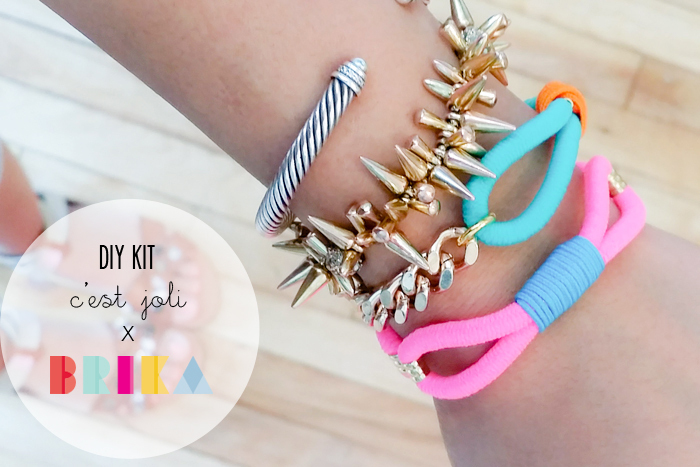 I’m EXTREMELY excited to partner with C’est Joli and BRIKA to launch their DIY Summer Bracelet Kit collaboration! Many of you have asked me about these uber cute and bright neon bracelets since I posted them up on Instagram last week. 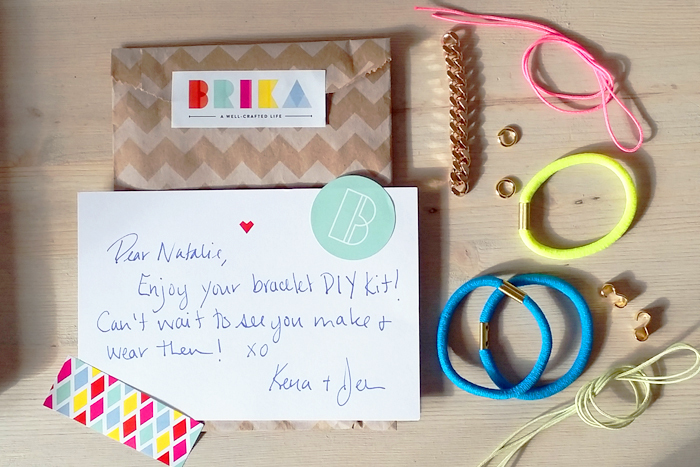 I’m so thrilled to announce that this DIY Summer Bracelet Kit is now on sale at BRIKA for $24! Clearly, I’ve got some inner love for DIY, but I can’t begin to tell you how simple and genius this DIY Kit is! The bright colours paired with the gold are perfect for summer and ads a pop to any (boring) outfit. I paired my neon yellow version with all black the other day, and I got tons of compliments on it! I had the pleasure of being first to learn how to make these awesome neon bracelets with the creator, Alison Dawson of C’est Joli (you must check out her handmade jewelry!). We also documented the entire process just to show you how awesome it is! Be sure to watch the step by step video below! A BIG thanks to Kena of BRIKA for inviting me to take part in this exciting launch! Watch this Step by Step How to Video! Aren’t these bracelets a ton of fun?! 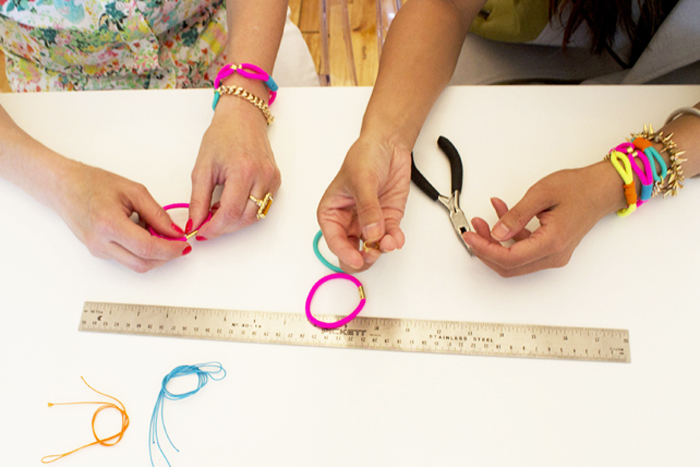 Ever considered throwing a DIY party with your best girlfriends? These would be such a great addition! Be sure to check out BRIKA as they’ve also got a TON of fabulous hand made products and gift ideas. 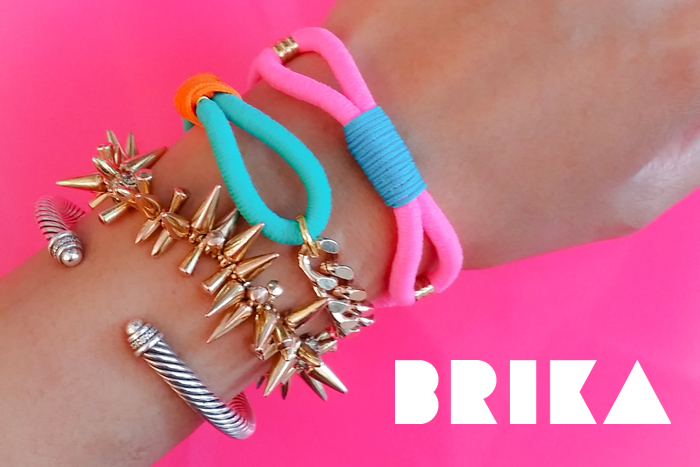 BRIKA is available online and at their Pop Up locations at The Bay. I LOVEEEE these DIY bracelets, their so fun and colorful with neon for summer! I so definitely need to try and make an attempt at one of these beauties!